It’s not so easy to find out information about this wine, but from what I can see and taste it is probably a blend of grenache, syrah and mourvedre from around Lirac in the Rhone Valley. Lirac sits adjacent to Châteauneuf-du-Pape in the southern part of the Rhone Valley, just north of Avignon and on the right bank of the Rhone river. The 2013 vintage of their Côtes du Rhône tasted here has aromatics of blueberries and old cedar wood. Its palate though is its strength. It has a lovely savoury balance to it, with flavours of blueberry, textural fleshy tannins and good length. I’d buy more of this. 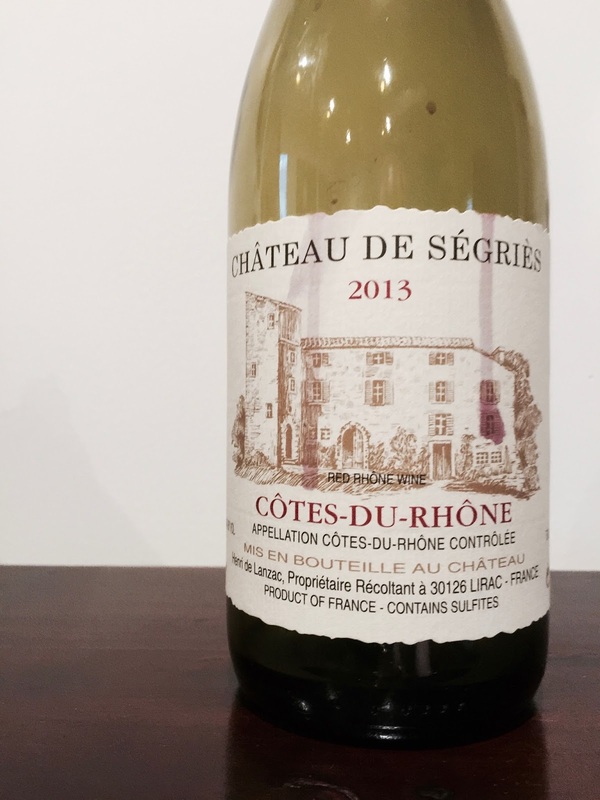 A very good value Côtes du Rhône.